I read this little piece on William Wordsworth’s visit to Ireland and the extent to which he was influenced by what he saw there (both in terms of the political and ecological content of his poems). It also noted his encounter with Maria Edgeworth, the author of Castle Rackrent. Later, I was re-reading my favorite bit of a beloved book, The Worldly Philosophers. My favorite bit of that book (after the description of Thorstein Veblen washing dishes with a garden hose) is the section on Thomas Malthus and David Ricardo in the late eighteenth and early nineteenth centuries. In that section, it notes the correspondence (and influence) one Maria Edgeworth had on Ricardo. When I saw the Edgeworth name on page 85, I wondered, could that be the same one? 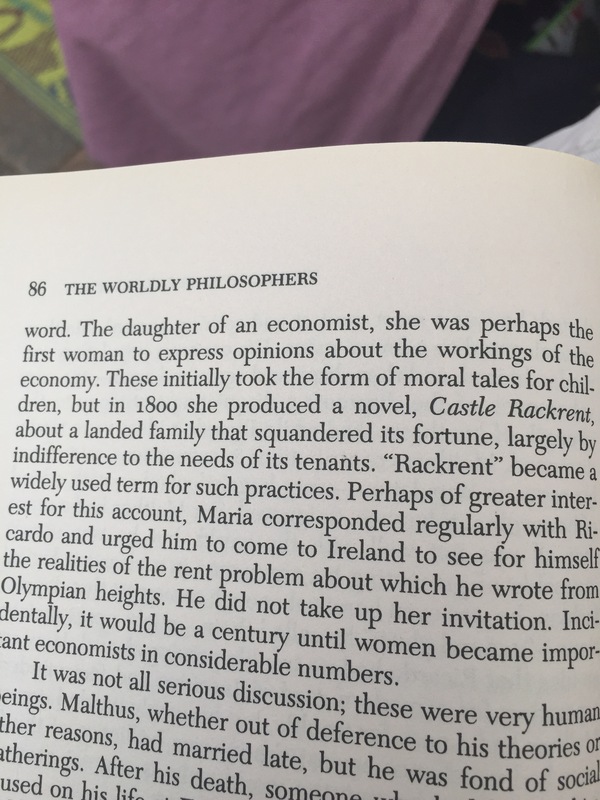 Flipping over the page, when I saw Castle Rackrent mentioned, I obviously knew it was. That’s it. Just a fun little thing. But you should definitely read The Worldly Philosophers. I actually had it in my bag because I have been intending, for some time, to loan it to a friend who going to be studying business. My father once semi-famously said that one should never confuse a business degree with an education. 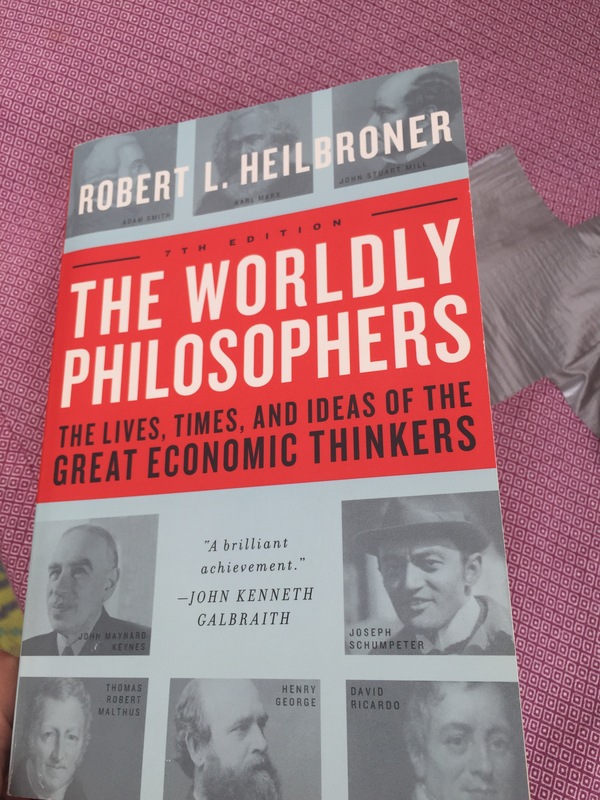 I thought that a book about influential economists might split the difference a little bit. So I had it in my bag, in case I should run into him.